Hello all, i thought i'd detail my Winter project here for anyone to tear apart i mean review. My intention is to strip and rebuild the engine (in situ) and then treat and underseal the underside. Just drained and filtered the engine oil through the wifes jam making cloth and i'm pleasently surprised to find no metal at all! This indicates maybe bottom end hasnt gone after all? 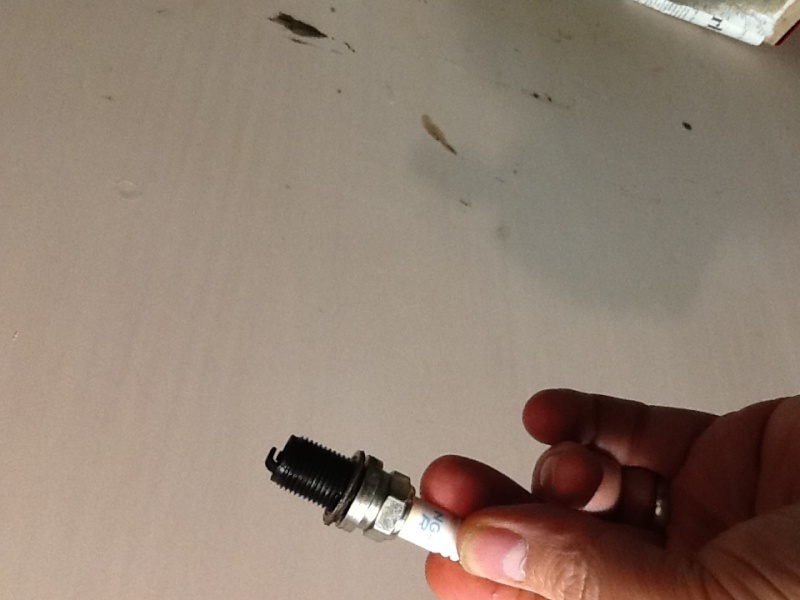 Spark plugs are carbornated which indicates fuel mix was too rich and gaps are 0.6mm. I bet your in the bad books with the missues, hopefully you've bought her a,New one. You doing the strip down on those ramps out in the open, a cold toosh coming up for you. 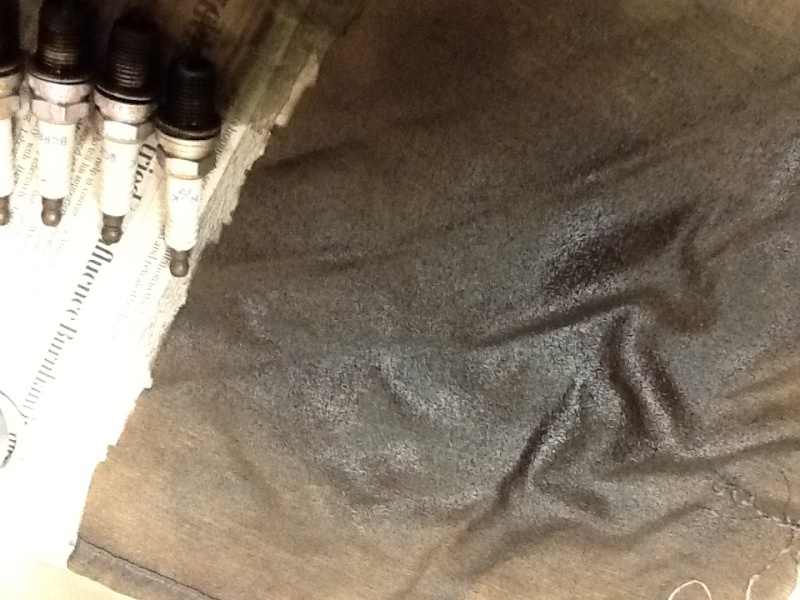 hopefully not the bottom end, you still cant be sure as someone may have dropped the oil and put new stuff in. You can generally tell a bigend knock fairly easy on these cars as it will be much more noticeable between 2-3rpm if you lightly feather on and off the throttle when shes hot. You will hear a distinct dull type knock as you just come off the throttle when theres play in the bearing/s. I've moved the car into the garage and jacked it up so ill be quite cosy over the Winter, just got no *^%*ing room at the sides though. From your description it def sounds like its valve gear, theres no knocks, just a rattle at all speeds from the rocker cover which got louder as the car warmed up. I recently measured the cam clearances at 0.2mm which is double the spec so that ties up. Once i whip out and measure the cam lobe heights i'll Be Pretty certain i reckon. My plan is to simply strip and replace everything not within spec. My big worry is that the piston bores are worn and ill have to remove the block for a rebore. I dont fancy trying to pull off the gearbox. I would compression/leakdown test it & not tear down unless something up. Also chop the old oil filter open & check for metal debris. Money & time probably best spent on valve train & perhaps head off overhaul leaving block alone if looks ok.
Other main thing to check is spray bar & oil pump pressure seems ok. If you do need remove engine you drop it out bottom with gearbox still attached. Hope you have fun & good luck . I should've comp tested it first but will only be able to do a cold comp test now . Would the lower pressures results still tell me something or does it have to be done hot? That's a good point about the oil filter, i'll whip it off tonight. My gut feeling is that the block will just need a deglaze and new rings. Oil pressure looked good when i bought it. Cold compression test will be fine, you may find compression results down a little over hot but what you are looking for is a balance across all 4 mainly and that will be indicated hot or cold. But obviously youll need to do the shims first. Definitely a day of one step forward one step back today. I couldn't remove the turbo till the air con pipe was removed. Being a 'responsible' person i called a mobile air-con tech to remove the r134a first. Within a minute of arriving i was told the tank was already empty and after 2 he left 35 notes heavier. So tonight, the big turbo removal. The f^*%er wouldn't budge. Tried everything but it was catching on part of the down pipe and wouldnt budge an inch. After 30mins i realised the rusty downpipe bracket had twisted and was jamming a turbo stud. Another 30mins later and after jacking up and twisting back the downpipe, the turbo popped straight out! Next, inlet manifold! Oh joy. Can anyone recomend a good company to service the turbo? Think someone on here works for Midlandturbos? 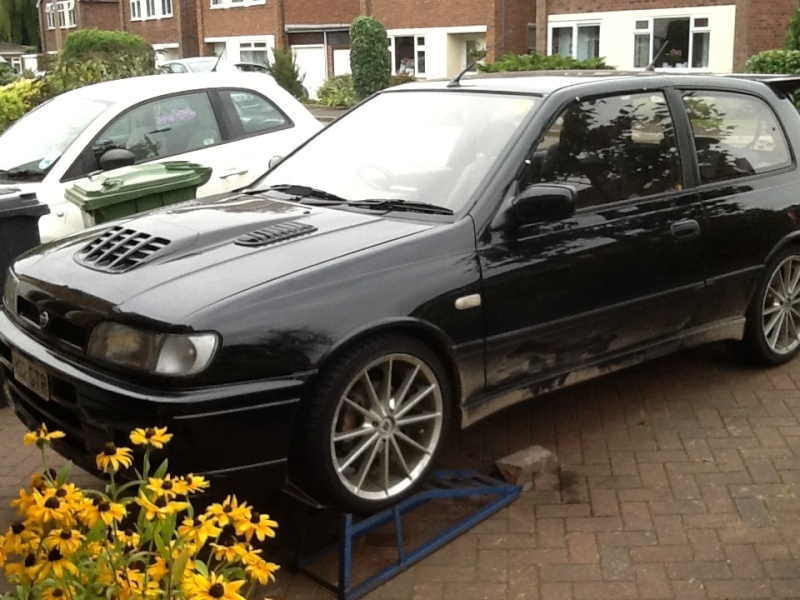 I plan to keep the car for a good few years so buying a new turbo with roller core sounds attractive. Any idea where from and how much ££? Yeah I brought the core from turborebuild and they fitted my housings to it etc cost around 350-400 quid all in including postage etc. Its on the car now and pulls very well! I brought the core and was going to fit the housings myself but for the sake of 30 quid they did it all for me ao it was bolt of bolt on saving loads of time and hassle. Nice company and I know a few who have used them to balance rebuilt turbos etc. I made a right pigs ear of an Pug hdi turbo so i'd rather leave it to the experts. And like you say, for sake of £30 it's a no brainer. 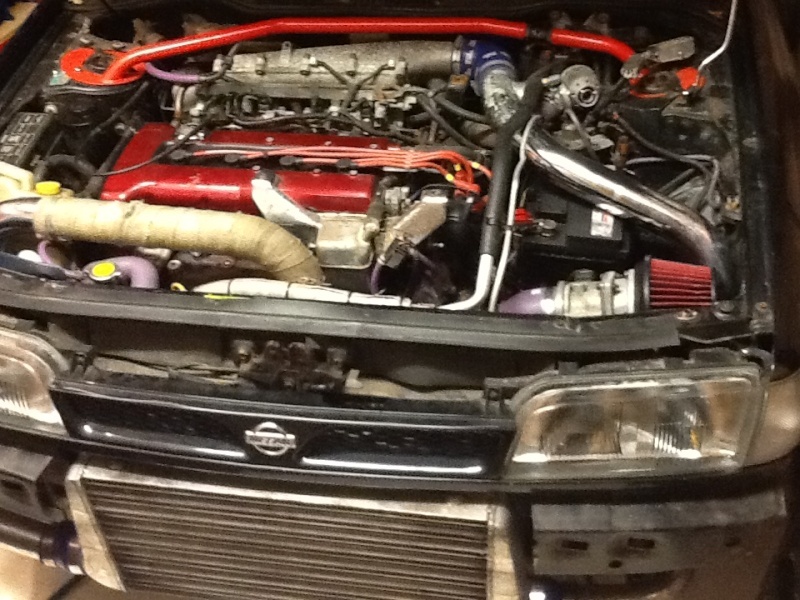 I emailed midland turbo and turborebuild so hopefully I'll hear back from them soon. Definitely had a good weekend in the office which i needed after the mare last week. Got the engine into tdc and whiped out the camshafts in no time at all. Tbh it was only the chain tensioner that was a pain to remove as i was trying to access it from the top, but from the side it was a lot easier. I measured all the shaft clearances at around 7 to 8thou and some shim clearances at about 6thou which is quite a lot out of spec, but i'm surprised at the lack of wear on the cam lobes which I'll properly inspect tomorrow. Hiwever there are signs of wear on the chain. Does anyone know how you're supposed to measure the clearance on the guide shims? I couldnt fit a feeler gauge in the groove? 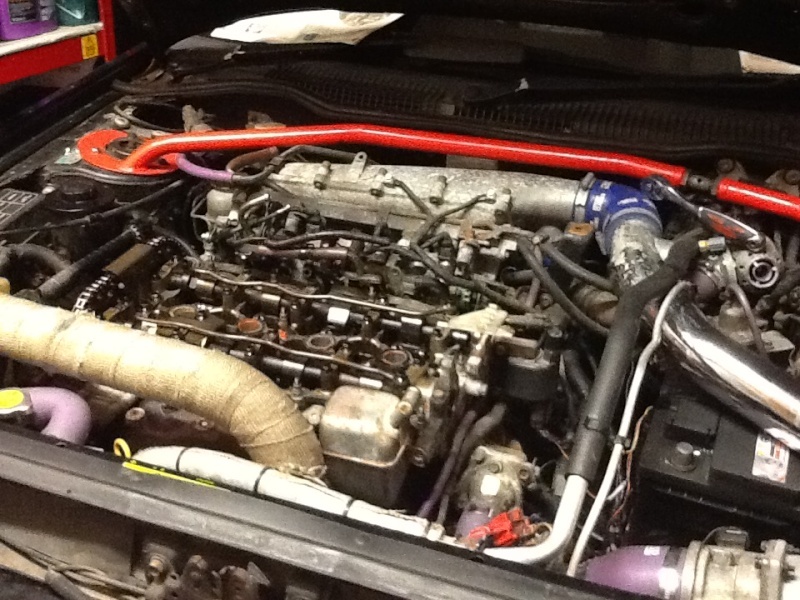 Tomorrow ill try and finish removing the intake manifold. I,ve got the nuts undone but somethings not letting go. Just measured all the camshaft lobe heights. They all came in between 38.71-38.72mm. Spec, as far as im aware is 38.65-38.84 which means im pretty much smack in the nominal and dont need to replace them.